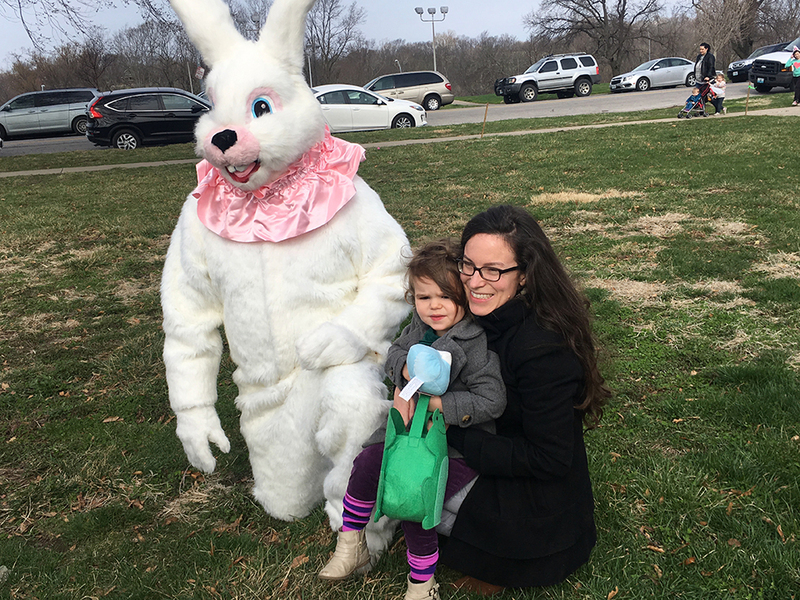 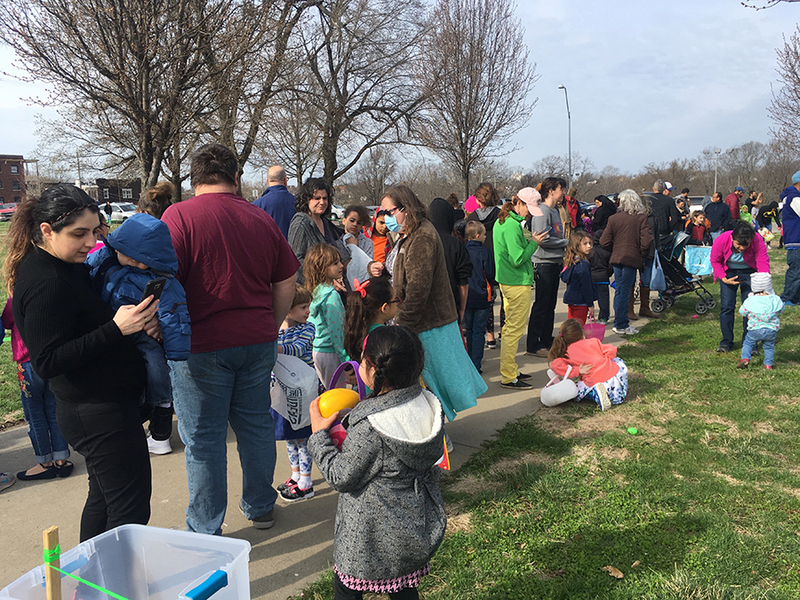 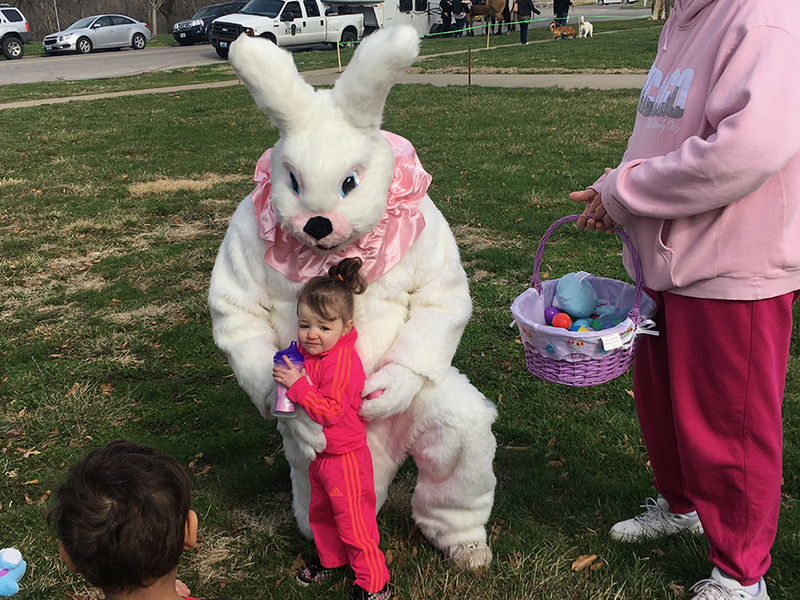 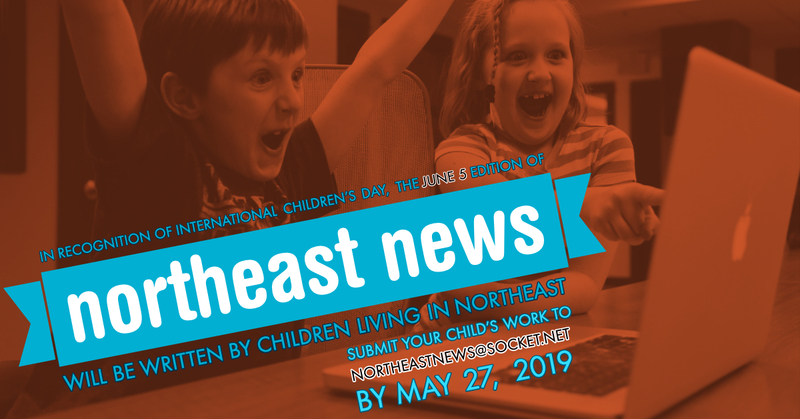 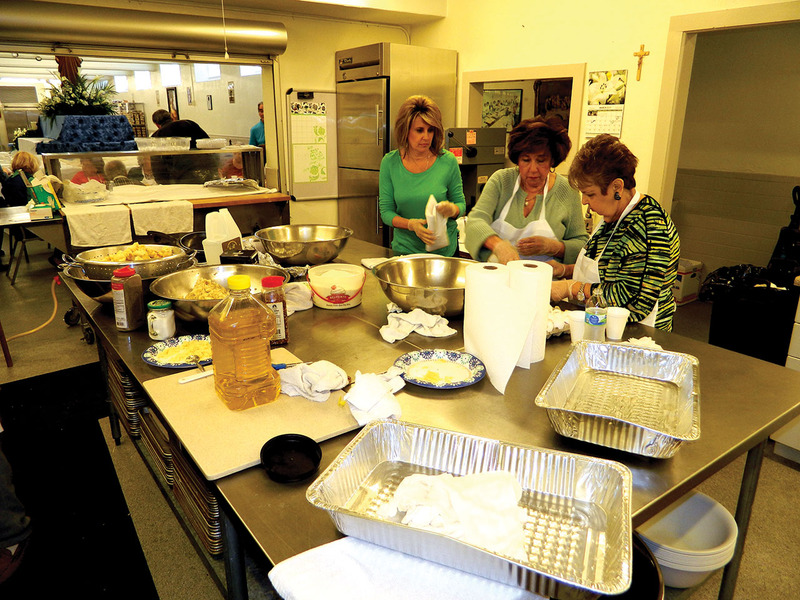 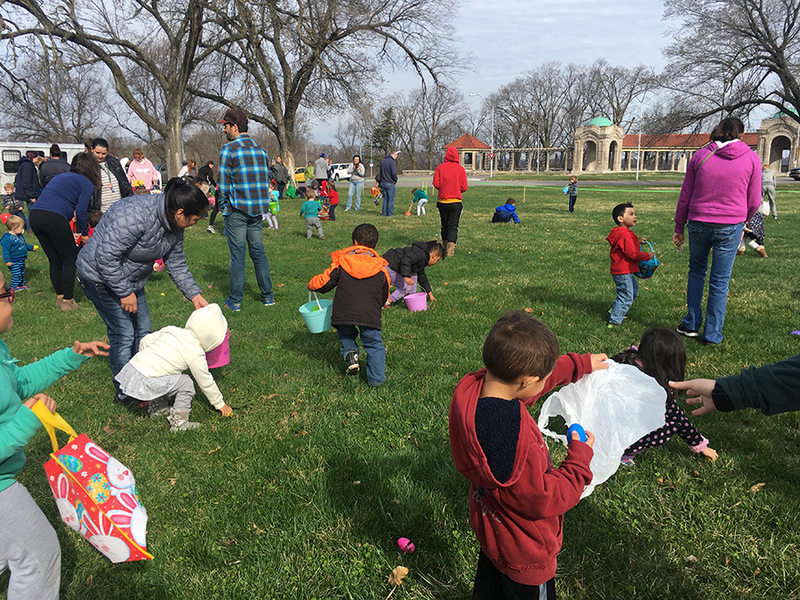 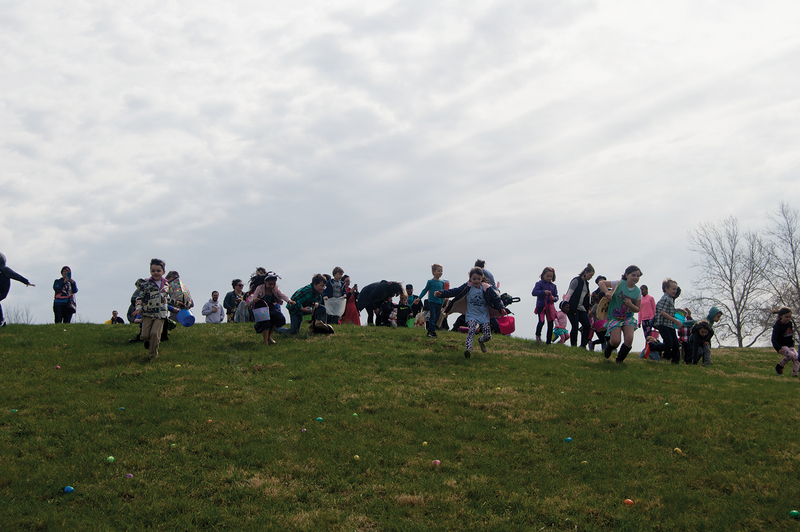 If you slept in on Saturday, March 31, you may have missed two egg-citing events in Historic Northeast; both the Scarritt Renaissance and Pendleton Heights neighborhoods hosted their annual Easter egg hunts for the children in the community. 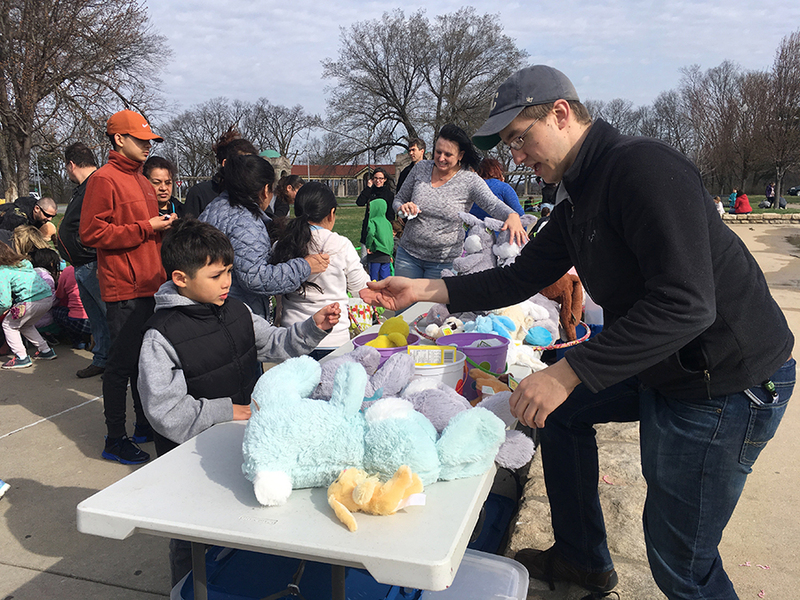 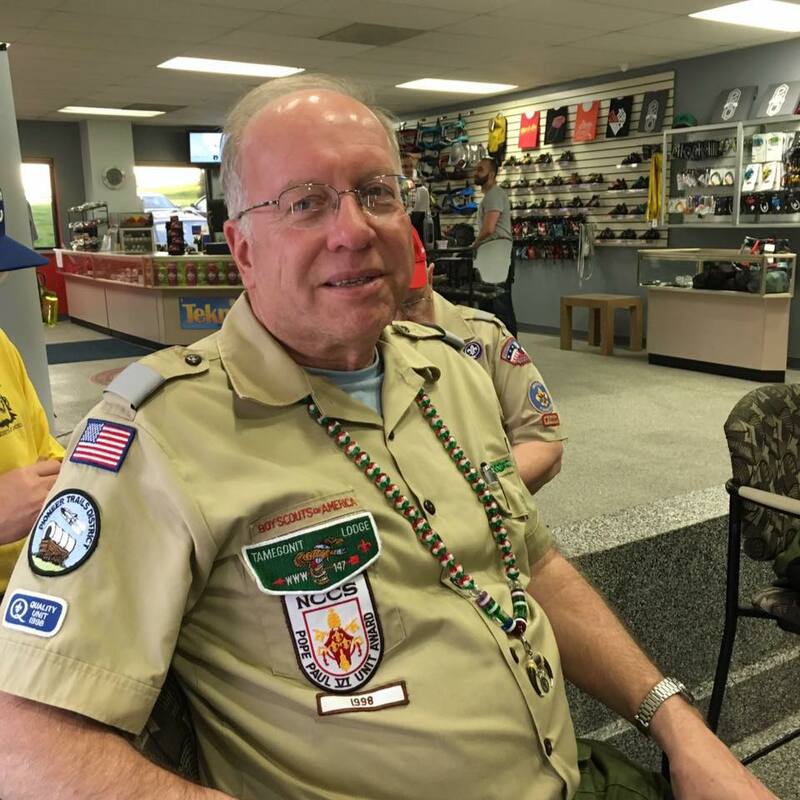 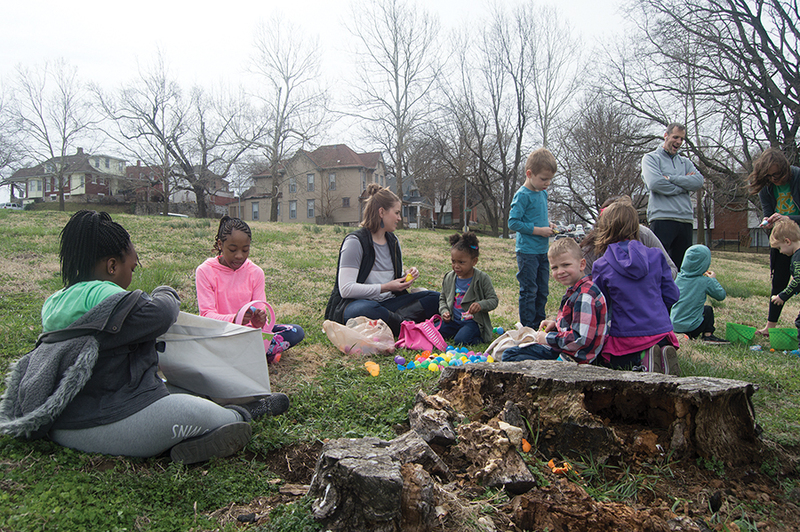 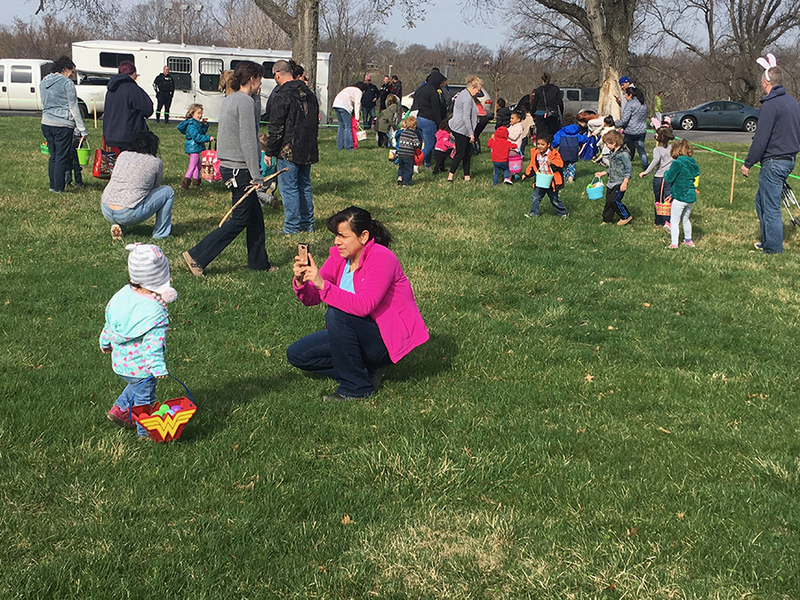 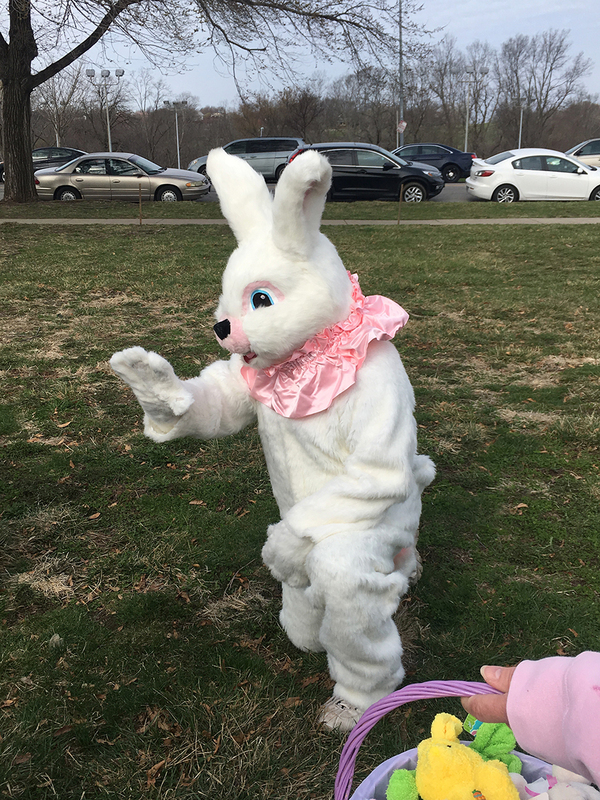 The Scarritt Renaissance event took place in Concourse Park at 10:00 a.m. and hosted three separate hunts based on different age ranges in order to ensure every child had an opportunity to fill their baskets with goodies. 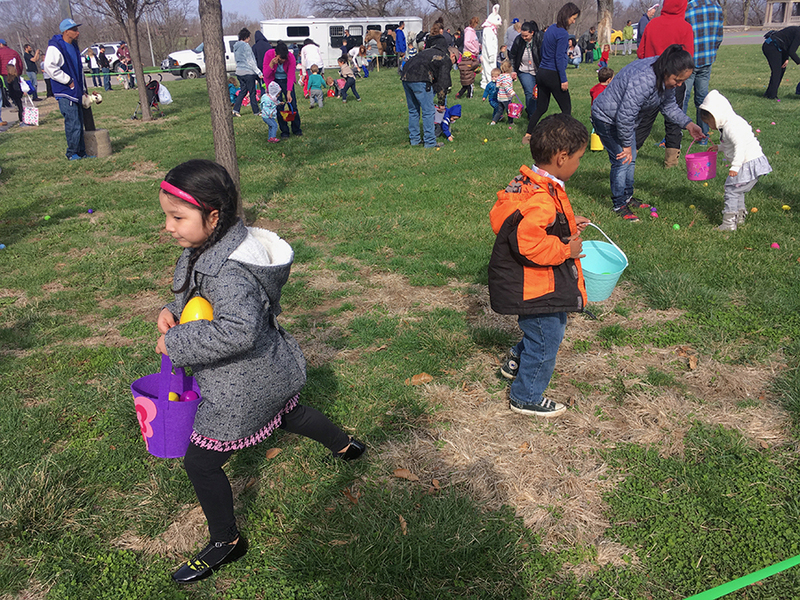 Most eggs were filled with candy, but some had tickets inside that were redeemable for bonus prizes. 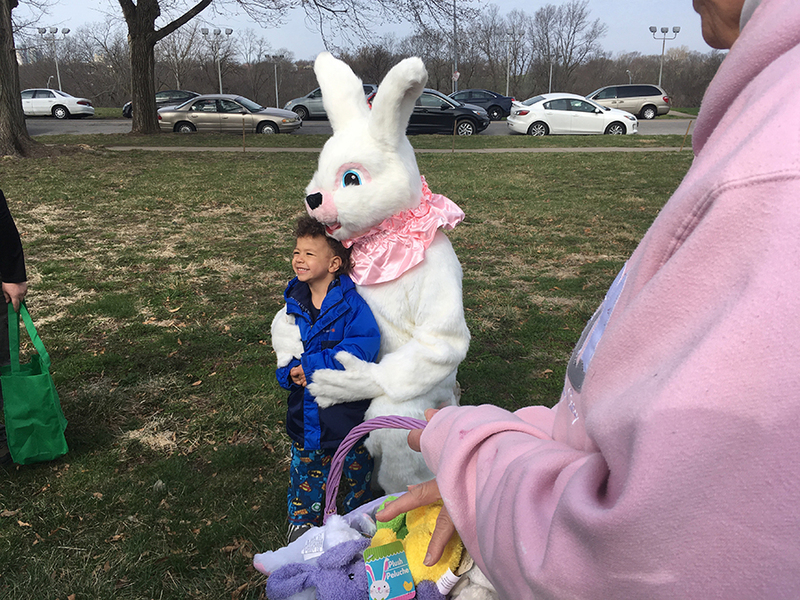 The Easter Bunny was in attendance at this event, as was KCPD’s Mounted Patrol. 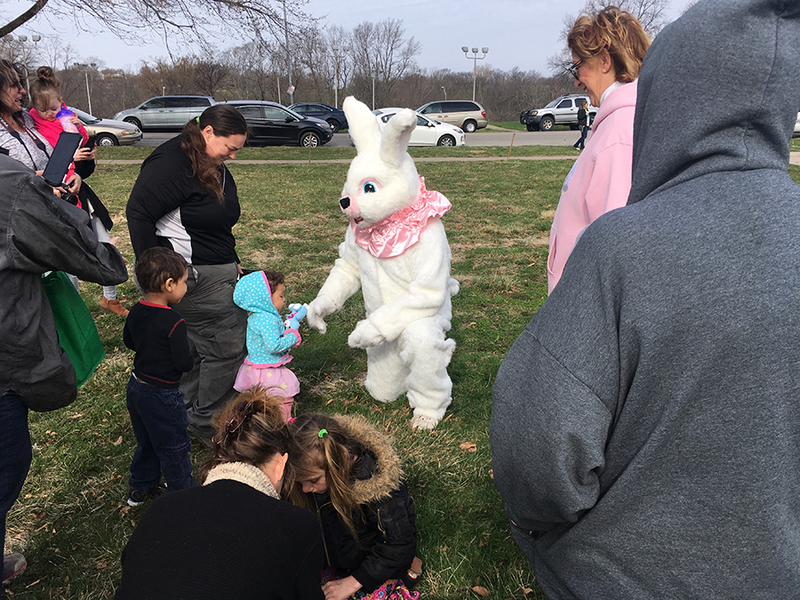 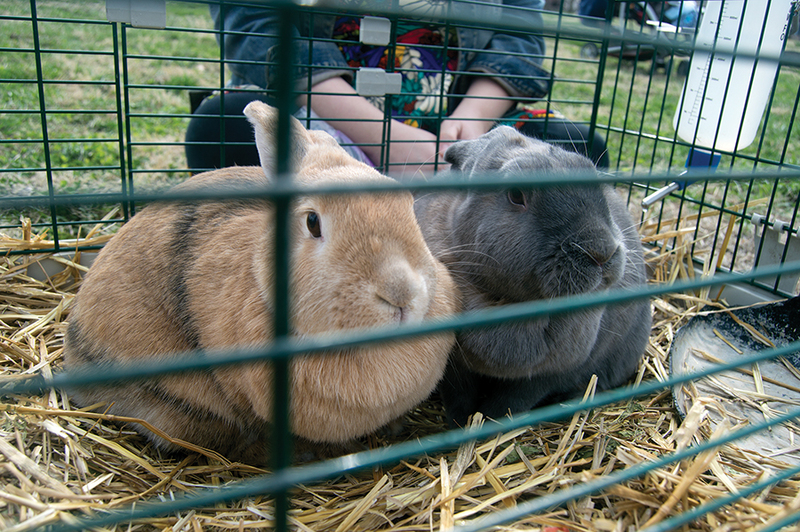 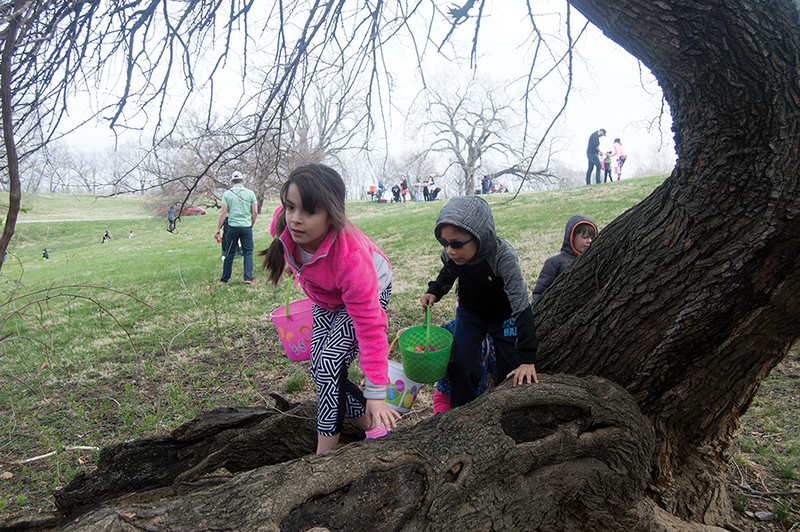 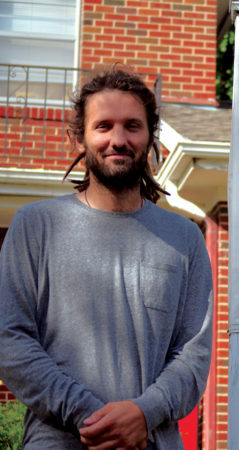 The Pendleton Heights Easter Egg Hunt took place at 11:00 a.m. in Kessler Park. 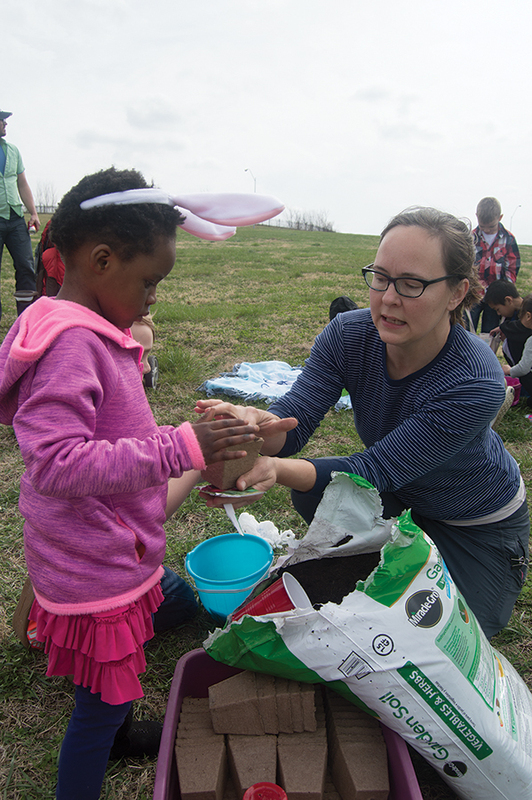 After the egg hunt concluded, kids had an opportunity to pet live bunnies and were encouraged to plant radish seeds in small containers so they could take them home and care for them.